Touring mummy sleeping bag suitable for 3 seasons till Autumn. The Redwood ensures a high insulation capacity with the high grade Dura Loft H4 filling. 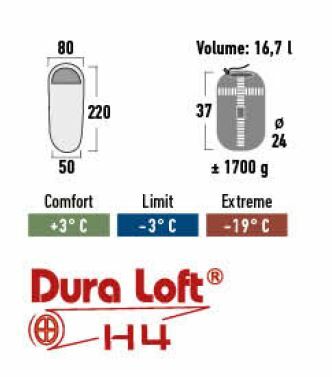 Dura Loft can be compressed easily, is durable, maintains its warmth properties even in moist conditions and dries quickly. The 4 layer construction, creating an air cushion, the seamless bottom, preventing thermal bridging, the double, adjustable shoulder collar and the zipper baffle enhance the thermal performance. The Redwood has a high quality shell with a stylish rip stop print and a skin-friendly, soft brushed breathable polyester lining. The contour hood is adjustable. 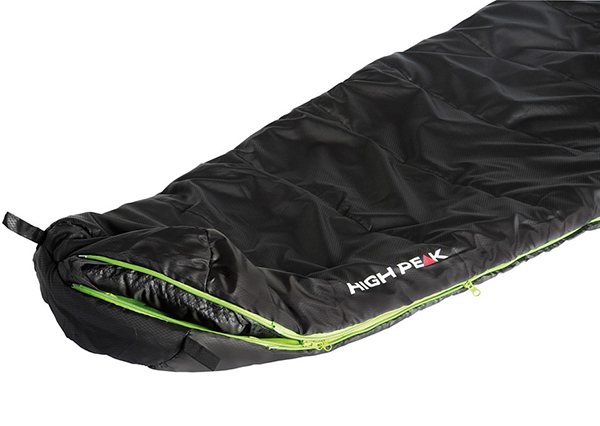 The split 2-way zipper enables to open the bag at foot part on warm nights. The auto-lock zipper prevents the bag from opening while sleeping. The zipper is also equipped with an anti-snag guard and an ergonomic zipper puller, shaped for easy gripping. The inner pocket and pillow sleeve complete the bag. The Redwood comes with a quality compression bag shrinking the packed volume. Unbeatable performance/price ratio. Maximum user height is 190 cm. 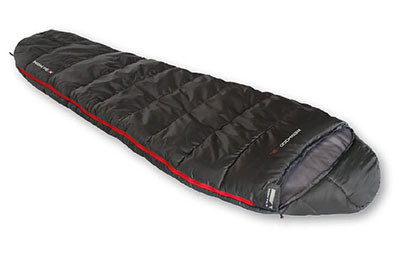 To buy this sleeping bag or send an inquiry, you can email us or phone/text 99451541.